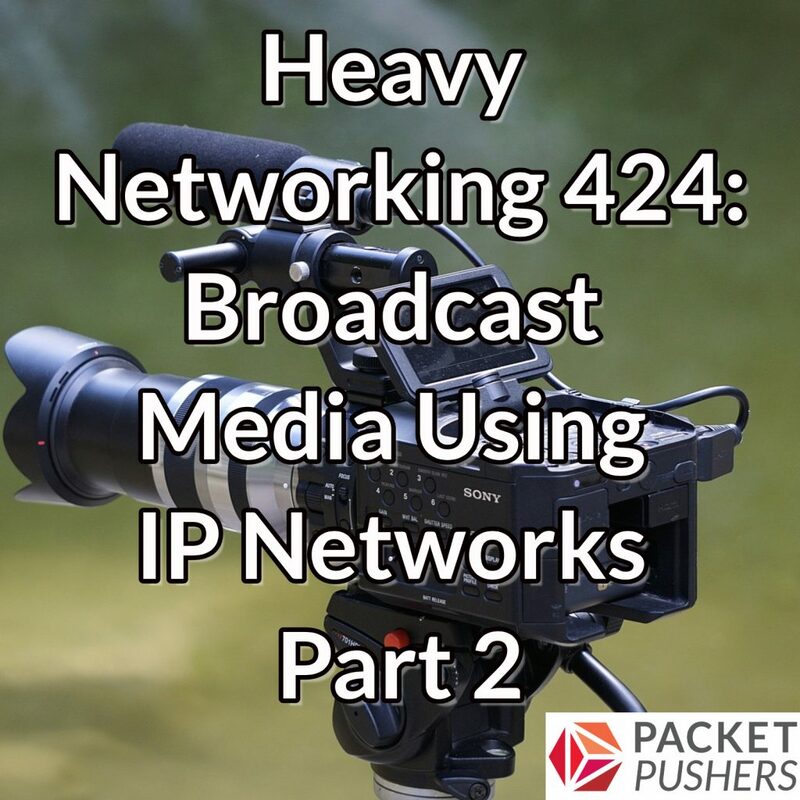 Today’s Heavy Networking continues a conversation we started back in Weekly Show 410, where we discussed the transition the broadcast industry is making to IP. In that episode, we covered the technical legacy of the broadcasting industry, how IP is starting to be used, and the impact to network engineering as a whole. Today, we consider the challenges IP networks face when implemented in a broadcasting environment, but why IP is moving ahead anyway. Our guests are Ricki Cook, a solutions architect who specializes in broadcasting (and also edits Packet Pushers audio); and Cyrus Hira, Customer Success Manager at Densify who also has experience with broadcast networks (and also edits Packet Pushers audio). We examine the particular challenges of transitioning broadcast networks to IP from their legacy transport mechanisms, key technical standards for broadcast media such as SMPTE ST2110, interoperability challenges, and more. We also discuss real-world projects that Ricki and Cyrus have worked on. Today’s episode is brought to you in part by ExtraHop. Think analytics, folks. ExtraHop is the enterprise cyber analytics company delivering performance and security from the inside out. Visit extrahop.com/packetpushers for an interactive demo to find out more.